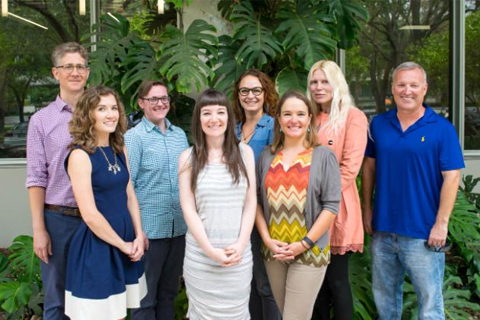 One of the central missions of the Center is its administration of Research Fellowships for faculty, and graduate students writing their dissertations. The year-long research colloquia provide a scholarly forum for fellows to present their work to one another for discussion and critique. This annual award, which carries a $500 prize, has been established with the generous support of Guido Ruggiero, Professor of History, in memory of his brother, David John Ruggiero. 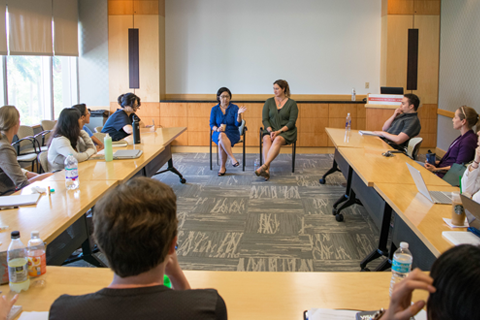 The Center also sponsors Interdisciplinary Research Groups, which bring together faculty and graduate students from different departments and disciplines as well as from other universities to pursue shared scholarly projects or themes. Research Groups are encouraged to propose and develop symposia, which the Center helps fund and organize. These symposia provide occasions for the Center to host noted scholars from other universities around the country and abroad who engage in scholarly conversations with faculty and students at UM. 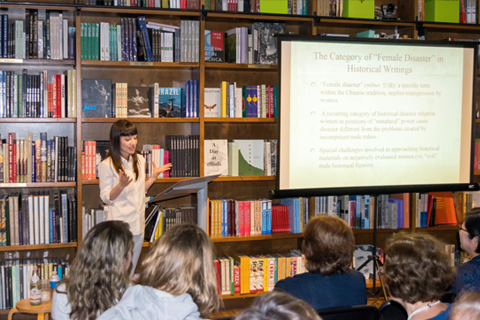 The Center for the Humanities sponsors and cosponsors lectures of interest to faculty and students across disciplines. 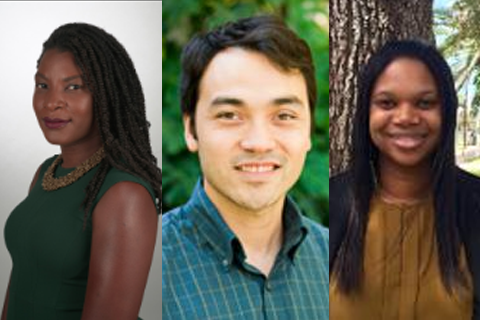 These speakers introduce research projects and explore ideas that energize the intellectual climate of the university community. 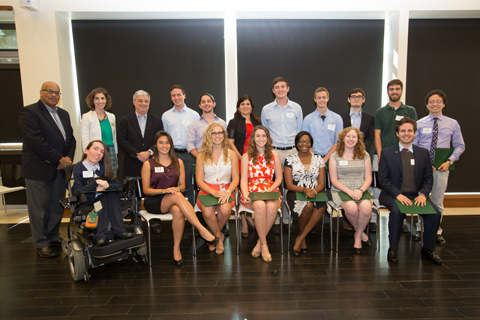 The Center for the Humanities sponsors workshops on matters of professional interest for faculty and graduate students. 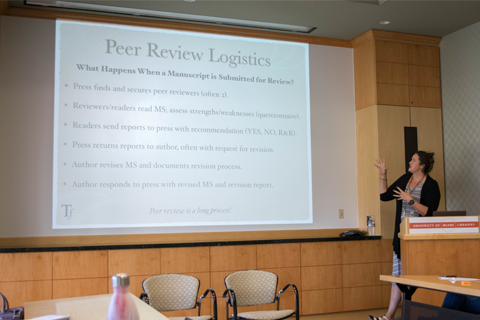 These workshops provide information and insights on topics such as writing grant applications for research fellowships and preparing a scholarly book manuscript for publication. 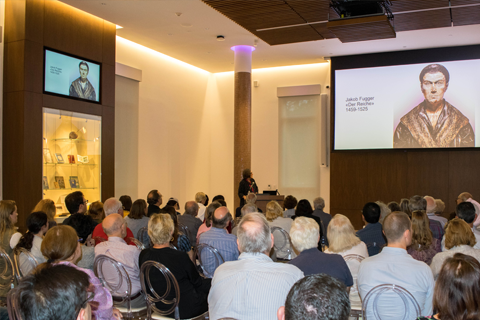 The Edith Bleich Speaker Series honors Edith Bleich, an alumna of UM who taught for 52 years in Miami-Dade schools, and was a lifelong student of history and the humanities. The Series will bring a notable scholar to the Center annually for public lectures on the topic of history broadly taken — including art history and history of science; as well as literature, religion, political thought, and other humanities topics with an emphasis on the historical understanding of these topics. 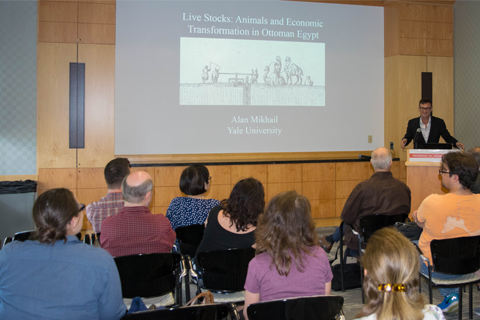 The BookTalks series introduces our humanities faculty and their research to colleagues and the general public. Throughout the semester, faculty participating in the series discuss their recently published books and answer questions about their work. Beginning fall 2009, this program has been presented in collaboration with Books and Books, Coral Gables. Inquiring Minds is a unique event designed to showcase humanities research and assist the community in understanding what research in the humanities entails. 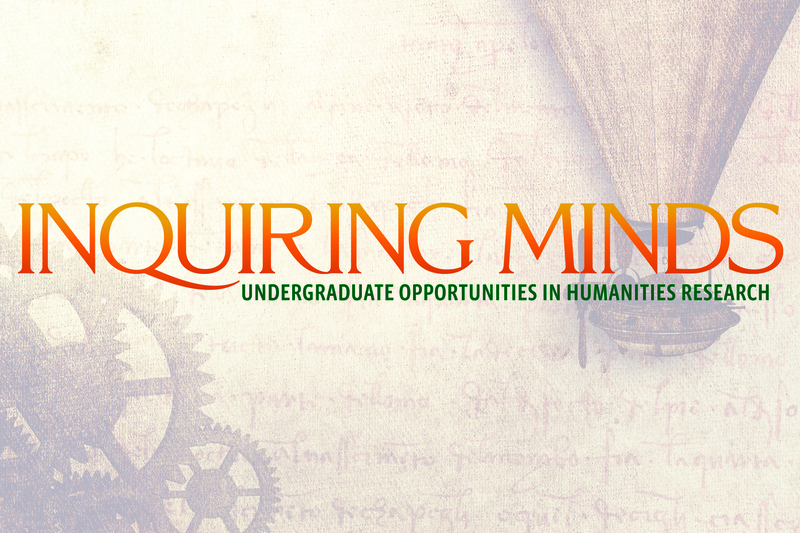 From art, philosophy, and history, to fostering social change through technology, Inquiring Minds offers an opportunity for exploratory students to conceptualize opportunities in humanities research.